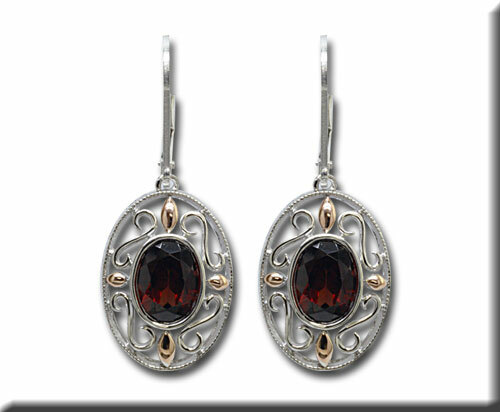 Decorative Garnet Dangle Earrings, sterling silver with a touch of 14k rose gold, shine bright with your garnet earrings. Garnets are a wonderful and versatile gemstone. Garnets do occur in several colors and many of us are familiar with the dark red ones. These earrings have shepard’s hooks that are easy to put in and take out.